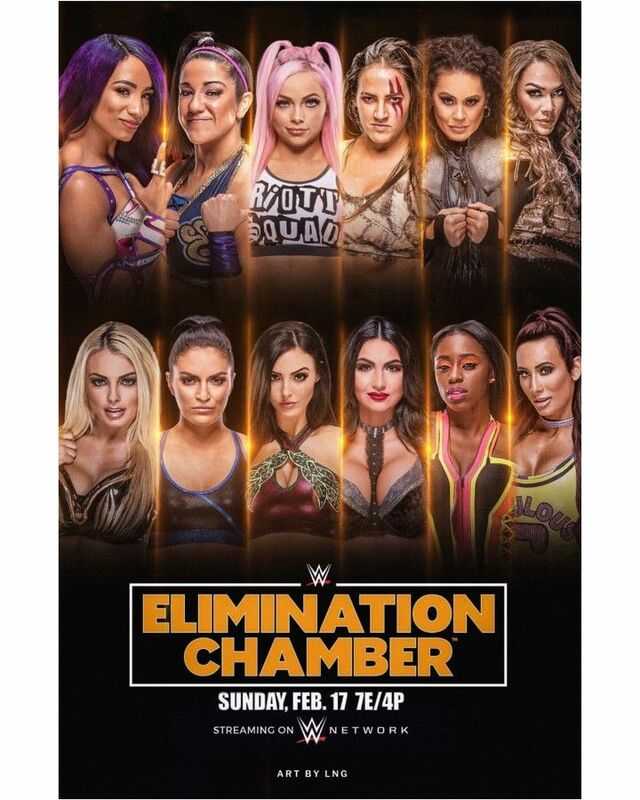 WWE Elimination Chamber 2019 is an upcoming professional wrestling pay-per-view event and WWE Network event produced by WWE for their Raw, SmackDown, and 205 Live brands. It will take place on February 17, 2019, at the Toyota Center in Houston, Texas. Elimination Chamber will begin at 7 p.m. ET with the show expected to last anywhere from 3.5-4 hours, not counting the kickoff show, which starts one hour prior to the main card at 6 p.m.